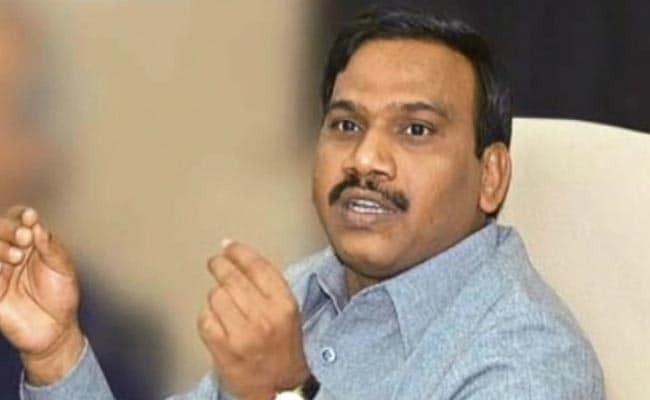 Former Telecom Minister A Raja, accused of commandeering one of India's biggest ever swindles, presented his concluding arguments today in a Delhi court. Mr Raja, a trained lawyer and senior leader of the DMK, has represented himself throughout the trial which has lasted nearly six years. A verdict is likely in July in the CBI court of judge OP Saini. Mr Raja, 53, who denies any wrongdoing, compared his case today to the parable of blind men and the elephant, which illustrates the perils of subjectivity and half-truths. "The 2G elephant was touched by the CVC, CAG, JPC and CBI without proper understanding," he said, listing the litany of agencies that have studied the telecom scandal, "on the basis of their own inference drawn by them, this case has been foisted against me." The charges against him are serious enough that he could be sentenced to life in prison if he is convicted. The "2G scam", named for the airwaves involved, was worth 1.76 lakh crores according to the national auditor. Mr Raja resigned in 2010 and was arrested the next year in February. After spending almost a year in jail, he was granted bail. The CBI, the main investigating agency in this case, says that in 2008, as Telecom Minister, Mr Raja colluded with a few telecoms like those attached to Anil Ambani's ADAG and real estate developer Unitech, to grant them out-of-turn licenses and free second-generation (2G) airwaves in exchange for kickbacks. After inviting applications for cellular licenses, the CBI says, Mr Raja at the last minute changed the rules to benefit those who had bribed him. However, the DMK leader maintains that the policies for assigning licenses were approved by the cabinet and that then Prime Minister Manmohan Singh was in the loop on all developments. In 2012, the Supreme Court cancelled nearly 120 licenses given by Mr Raja, finding that they had been sold at below-market prices and that valuable spectrum, which had been bundled with the licenses for free, should have been auctioned. "Why would the minister involve outsiders in the decision-making process (such as PM, Law Minister, Finance Minister, External Affairs Minister, and the Solicitor General) if there was a conspiracy?" Mr Raja asked today in court. Among those on trial with him on charges that include criminal breach of trust by a public servant- which comes with a maximum sentence of life in prison - is M Kanimozhi, whose father is the chief of the DMK. The CBI alleges that a kickback to Mr Raja from a telecom firm worth 200 crores was routed to a TV channel owned in part by her in Chennai. Like Mr Raja, she says she is innocent. Mamata Banerjee Backs Kanimozhi, Says PM "Unleashing Reign Of Fear"